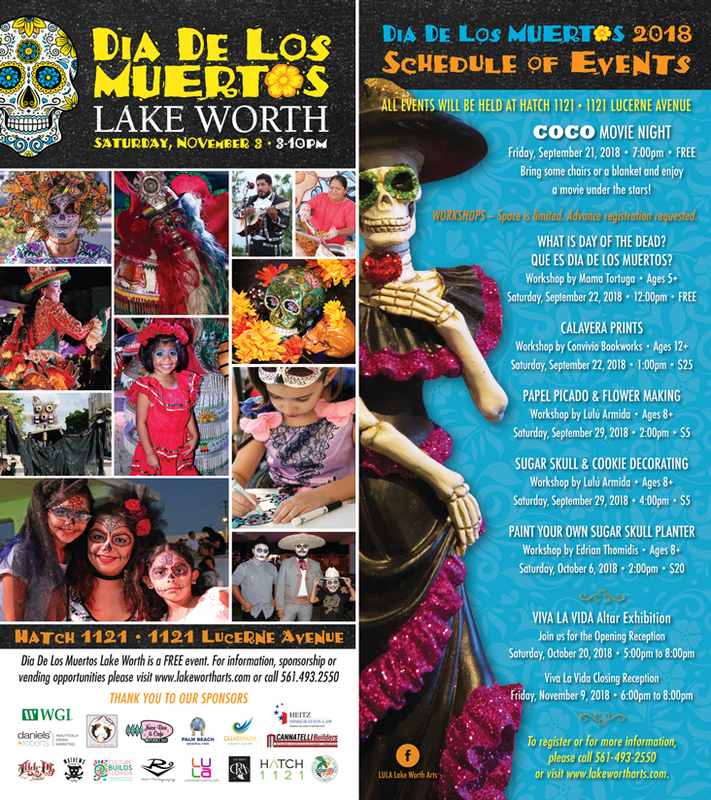 Presented by LULA Lake Worth Arts and R Dot Photography, Día de los Muertos or Day of the Dead, is a festive time to honor deceased relatives, satirize the living, and entice the spirits to visit with flower-decked altars and offerings of food. One of South and Central America’s most distinctive holidays, Day of the Dead, is considered a day of cheerful celebration rather than one of mourning. Each November, Lake Worth Arts will present a FREE day of fun for the whole family. The Day of the Dead celebration will feature traditional foods, folkloric dances, traditional ofrendas, a procession, cultural arts and crafts and children’s activities. Admission and parking to the festival and exhibition are free. For information on the event or on vending opportunities please call 561-493-2550.